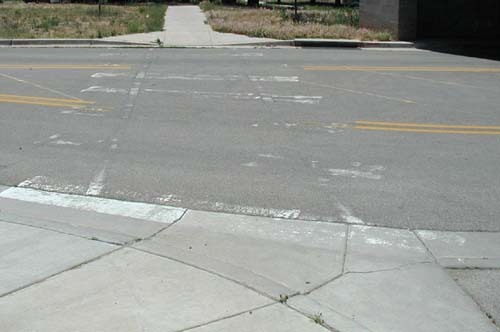 Crosswalks that are not adequately maintained are dangerous because drivers can't see them, or may be unsure as to whether a crosswalk is intended. Crosswalk in a logical place (where pedestrians would have reason to cross). 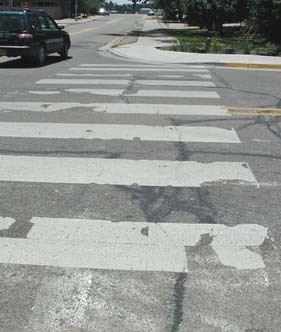 Crosswalk visible to drivers from a sufficient distance. Crosswalk marked by "Pedestrian crossing" signs on both sides, or protected by "Stop" sign(s).